At least that's what I used to think but it turns out I was wrong. 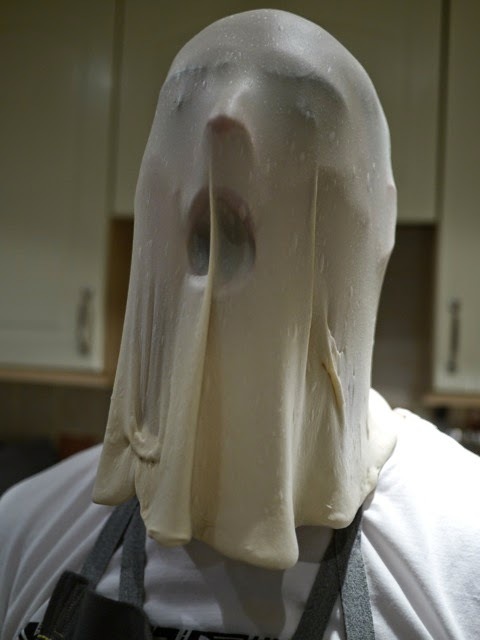 Our dough hates it. With ‘cold’ tap water above 22ºC and night temperatures remaining in the 20s there's been nowhere to hide. We’ve always walked the tightrope of longer proofing times, pushing the ferments further so the gluten breaks down into something that’s equally delicious as digestible, but when the temperature rises it’s hard not to have a few wobbles. Acidity increases, degradation accelerates and you’re left cradling each dough ball like a newborn. The easy way out would have been to switch to commercial yeast, drastically cut the ferment times and hope most wouldn’t notice but where’s the fun in that. Out came the textbooks, academic papers on microbial specific growth rates and numerous chats with some of the best in the business. Particular thanks to the Harts Bakery team and Emily Buehler, the author of the brilliant and aptly named Bread Science book. In a nod to my previous life as an engineer I also swapped the temperature controller of a chest freezer so we have a giant chest fridge / proofing chamber. Never before have I got so excited about white goods. And then the weather changed again, Hurricane Bertha blew through and it’s 5 degrees cooler. Percentages and timings have changed once again, but at least this feels more familiar territory. Regardless we’re in a much better place now, we understand more, we appreciate more. We're ready for the sun again. Well we’re finally Bristol residents and enjoying a regular spot at Temple Quay Market. To the loyal customers who’ve visited on every appearance - thank you - as promised we’ll be serving up your favourite with fresh cherries, gorgonzola and smoked bacon this Thursday. We went foraging with Chris of Heavenly Hedgerows, July might be known as hungry month but we came back brimming with ideas, first up to try will be a bianca sausage pizza finished with wild mustard flowers, who fancies that? 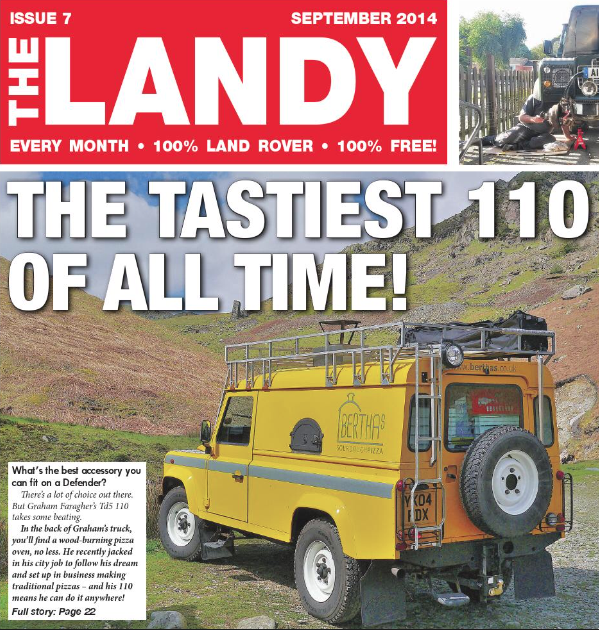 If all that wasn’t enough we also found our way onto the front of The Landy Magazine, in their words ‘the tastiest 110 of all time’ and who are we to argue. On the 31st August we will be making our debut at the Tobacco Factory Sunday market. We’ve been big fans of this buzzing market for some time so it’ll be great to finally be a part of it. Starting in September we'll also be firing up at the Hungry Caterpillar play cafe to provide pizzas at lunchtime and into the evening. This is the second most popular question we're asked after "did you trade at Glastonbury" - we didn't, although our mozzarella does come from a farm there. As for the restaurant we've started the process of looking at potential spaces - who'd like a wood fired sourdough pizza joint down their road?